Starting on September 9th, four members of the Norlift team will join Ride For A Child on Cycle Oregon. Riding for Candlelighters, an organization dedicated to fighting childhood cancer, each person will cycle 430 miles in Central Oregon. Funds raised will help provide much needed resources to children and their families in their daily battle against cancer. Funded by private donations, Candlelighters works to help families at Doernbecher and Emanuel Children's Hospitals. From monthly newsletters, support groups, educational resources, college scholarships, and emergency financial help for families with children undergoing treatment (their most vital program), Candlelighters works to ease the strains upon these families. David Leslie, Territory Sales Manager, is riding in honor of Keira. Click the button below to donate to David's fundraising page. Bryan Leslie, Business Analyst, is riding in honor of Karrah. Click the button below to donate to Bryan's fundraising page. Tom Leslie, President, is riding in honor of Brycson. Click the button below to donate to Tom's fundraising page. The 2017 Cycle Oregon route starts at Tumalo State Park, travels through the Cascades, skirts around Crater Lake, passes Dorena Lake, and completes a full circle at Tumalo State Park. To read more about this beautiful route, visit the 2017 Cycle Oregon Week Ride Page. 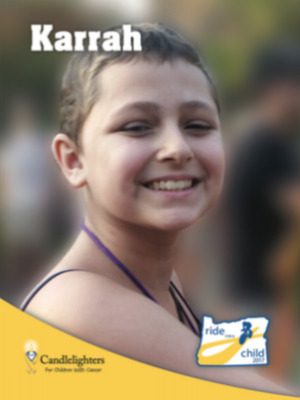 To learn more about Ride for a Child, then click here to visit the homepage.